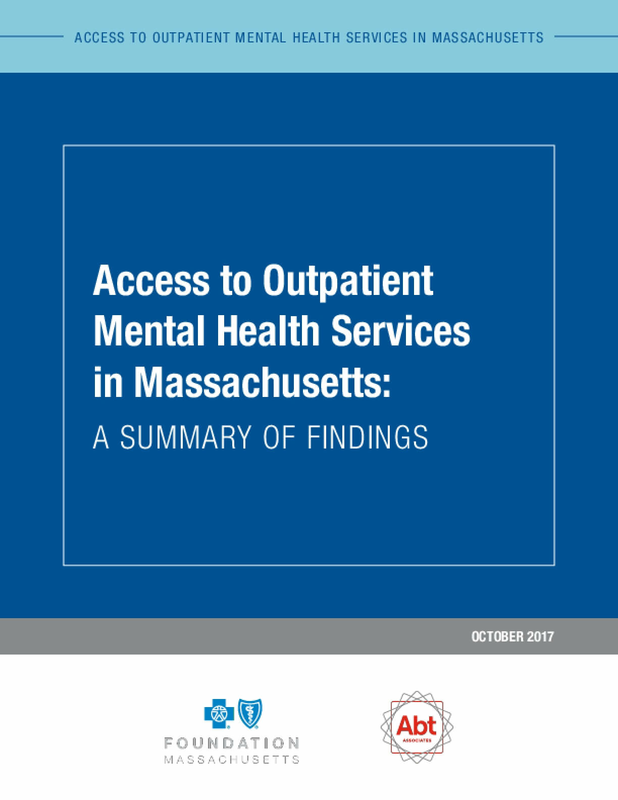 This series of reports describes the results of a comprehensive mixed-methods study, Access to Outpatient Mental Health Services in Massachusetts. The study sought to quantify the wait times for outpatient mental health office visits in Massachusetts, better understand the experiences of clients seeking an appointment, and identify facilitators and barriers to accessing mental health services. Study findings are based on primary data from multiple sources, including qualitative data from stakeholder interviews and client focus groups and quantitative data from surveys of clinicians and administrators at organizations providing outpatient mental health services. Copyright 2017 by Blue Cross Blue Shield of Massachusetts Foundation. All rights reserved.